Beginning Tuesday, February 5th at 9am, you can purchase $50 worth of vouchers to 50 Yard Line Sports Bar at Pizza Como, at 2626 Easton Avenue in Bethlehem for only $25. That's Half Price! 50 Yard Line Sports Bar at Pizza Como, on the corner of Easton Avenue and Stefko Boulevard in Bethlehem is the oldest sports bar in the Lehigh Valley! Enjoy a pound of wings on Tuesdays for just $5.95 and any bottle of beer for only $3 including over 31 crafts! 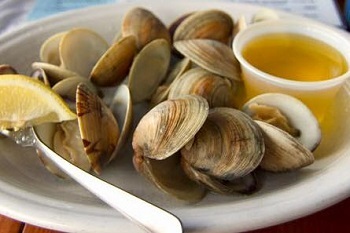 Thursdays, watch the game and grab clams for just $5 a dozen. 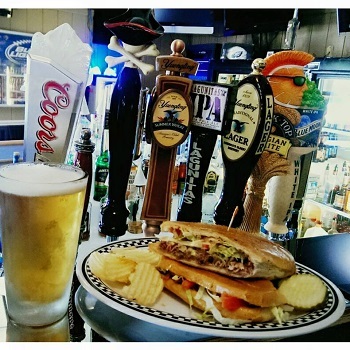 50 Yard Line Sports Bar is a great place to bring the family and has a huge menu with delicious pizza made with the finest ingredients, giant tacos, cheesesteaks, fresh juicy burgers, fantastic wings, hot and cold subs and much more! 50 Yard Line Sports Bar also has 10 rotating super cold drafts lines, and beer to go! Catch every NCAA game, UFC fights and more on their 41 HD TVs! You’ll always find a friendly smile to greet you at the bar, in the dining room or to order take-out at 50 Yard Line Sports Bar at Pizza Como! Please note: You are purchasing (2) $25 vouchers for $25, only (1) voucher may be used per visit. Enjoy! One voucher per visit - no cash back. 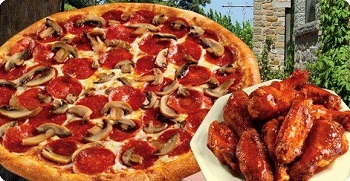 Eat-in or take-only, cannot be used for delivery. Cannot be used for beer or alcohol.